Bevcon Telescopic Chute is used for abrasive or large particle size material in stockyard systems and high tonnage loading applications. Dry bulk material contains dust and fines. When a material is laid on a stockpile, it is probable that dust particles will rise and spread around, resulting in pollution of working environment and surrounding area. Telescopic chute prevents the emission of dust and loss of material as vacuum gets created inside the chute by the material flow, resulting in easy maintenance and saves operational costs. Bevcon telescopic chute is designed for loading bulk material on trucks, trains, ships and inside storages. It is provided with inner cones or tubes to contain the flow of material and an outer flexible bellow to limit the propagation of dusts. It is operated by an electric hoist with three lifting cables outside the material flow that raises and lowers the bellows with cones without cable wear. Also available with double bellow for non abrasive materials. Beckon mayors pvt ltd, hyderabad is a major player / manufacturer of material handling equipments in the india. Bevon is also one of the fastest growing sme. 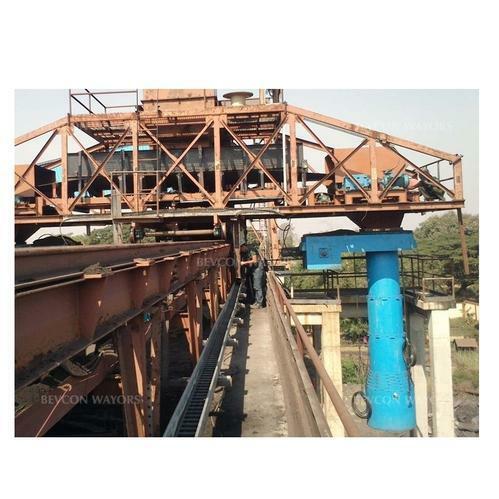 established in 1991, bevon had a steady growth and now have established as one of the leading material handling, crushing and screening systems company in india.